[…] post-traumatic stress disorder (Xie et al., 2009), antisocial behaviour (Lie and Lee, in press), substance use (Brody et al., 2009a), suicidality (Roy et al., 2007), sleep quality (Brummett et al., 2007) and anxiety sensitivity (Stein et al., 2007). The multiple phenotypes affected by this interaction attests to the robustness of the effect. The serotonin transporter gene (SLC6A4). 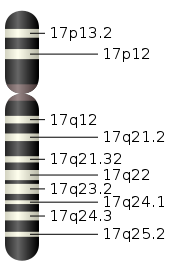 5-HTTLPR is located on chromosome 17. Subsequent research has shown that this relationship between life events and affect for individuals with the short/short genotype was primarily driven by the social events, as the nonsocial events were not significantly related to the affect (Way and Taylor, 2010). Other groups have found heightened sensitivity to positive social influences amongst short allele carriers as well, which has even been documented using neurochemical measures (Manuck et al., 2004). Thus, these results suggest that the 5-HTTLPR moderates sensitivity to social influence regardless of its valence. The argument developed from these studies, among others, is one where short/short individuals embedded in a highly interconnected social network, as seen in collectivist cultures, are somewhat insulated against negative events that may impact upon them more harshly in individualist societies. Similar conclusions are drawn for polymorphisms influencing the opioid system (A118G) and monoamine oxidase A (MAOAuVNTR): here, individuals with social sensitivity alleles are particularly prone to the effects of social exclusion. With all of these studies being at the individual-level, the authors ask the following question: If a population had more or less of these alleles, might this affect the preferred forms of social interaction? In looking at populations, the general trend of the studies mentioned in this review suggest there is a higher prevalence of social sensitivity alleles in East Asian than in Caucasian populations. Take the A118G polymorphism: in a forthcoming study by Way et al, they find a robust correlation between this polymorphism and individualism-collectivism (see figure below). So, in populations showing a greater amount of collectivism, the G allele is more prevalent. Furthermore, this relationship remained significant even when per capita GDP and other factors were controlled for. This is also true for the 5-HTTLPR and, to a lesser extent, the MAOA-uVNTR alleles. In collectivistic cultures, relationships are enduring due to social ties that are reified by mutual obligations between members of the family, clan, or religion. These relationships are so salient that the self is defined by them. Thus, the implicit construction of the self in members of these cultures is inherently relational (Fiske et al., 1998). This social construction of the self may function akin to an implicit social support network (Kim et al., 2008) that is likely to buffer individuals with social sensitivity alleles from the adverse consequences of stress and improve life satisfaction. Conversely, in individualistic cultures there is a tendency for a high degree of personal autonomy — that is, individual need can often trump the requirements of the group. It also has implications for those who are susceptible to the influence of social sensitivity alleles, including those of ethnic backgrounds where such alleles will appear in high frequencies. Take, for instance, those of East Asian descent living in the USA: here, these individuals suffer higher levels of major depression than Asians still living Asia. The same is also apparently true of US-born Latino’s who experience higher rates of depression than those born in foreign countries. A potential explanation, then, is that collectivism provides a network suitable for sustaining emotional well-being in those populations containing a high levels of social sensitivity alleles. […] it would suggest that genetic selection at these loci is not the explanation for the correlation. Rather, it would suggest that collectivism was ‘stickier’, representing a better fit in populations with a high proportion of putative social sensitivity alleles (Lieberman, 2009). In other words, the psychological and behavioral tendencies associated with collectivism may have been more likely to have been adopted and transmitted in populations with a higher prevalence of such social sensitivity alleles. Similarly, individualism may have represented a better fit for populations with a low proportion of social sensitivity alleles where less reactivity to social rejection or exclusion would have been beneficial. This is really interesting, and it changes the way we approach the question of what kind of society language originated in. Also, if certain genetic traits better with more autonomy and less well with tight social networks, would these encourage geographic expansion of a population? It would be interesting to see the individualism-collectivism correlation for more African countries. This may also link in with Rapoport’s rule – species in less diverse areas (higher latitudes) have a broader niche (i.e. individuals adapted for flexibility and autonomy). Is there a correlation between the proportion of the population with the G allele and latitude? if certain genetic traits better with more autonomy and less well with tight social networks, would these encourage geographic expansion of a population? Good question. One I don’t have an answer for, but it’s something certainly worth investigating. You would tend to think that those migrating are outliers of the general population, so perhaps they were more individualistic. Though the Asians/Latinos may be born in the U.S., they were presumably exposed to somewhat different cultural values than the American norm when they were growing up. This could provide a basically non-genetic explanation for greater rates of depression later in life.